Do you feel like your indoor air quality is going down? Are your allergies getting worse? It could be due to air that is being circulated through your home by your air conditioning unit. The air that is circulated goes through the return air where your filters are and into the unit that will either heat or cool the air and send it through the duct work. The duct is a series of metal tubing that runs from the unit to each room in your home and is usually hidden in the attic or crawl space of your home. The air that goes through the duct and out the vent is what makes up the majority of the air quality that is in your home. The filters should stop most of the dirt, dust, debris and allergens that are naturally in your home, but that is not always the case. When these particles get past the filter they end up in the duct work and will start to buildup. This causes the unit to have to work faster in order to cool or heat the rooms in the home and that wastes more energy. It also allows more particles of allergens and dust to get into the rooms, causing aggravation to allergy sufferers. If you want to remove all the dust and allergens that have built up in your duct work our expert technicians are standing by. 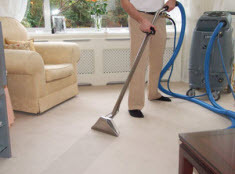 Leading Carpet Cleaning offers expert air duct cleaning that can have your unit working better and more efficient right away. It can also help to increase the quality of air that is circulated throughout your home leaving you and your family breathing easy. Another service that is often overlooked is cleaning your dryer vent. Every time you do a load of laundry you are using the dryer and lint and debris is being pulled out and sent to the dryer filter. This is the removable screen that you then take the lint off and throw away before you start the next load. Even if you take care of this part of the laundry process, some of that same lint and debris will make its way into the dryer vent. This not only will slow the drying process but can also become a fire hazard as well. 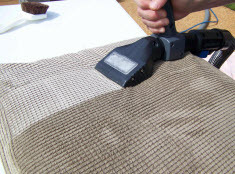 Leading Carpet Cleaning offers professional dryer vent cleaning. 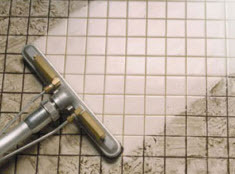 Contact our expert cleaning and restoration technicians today!